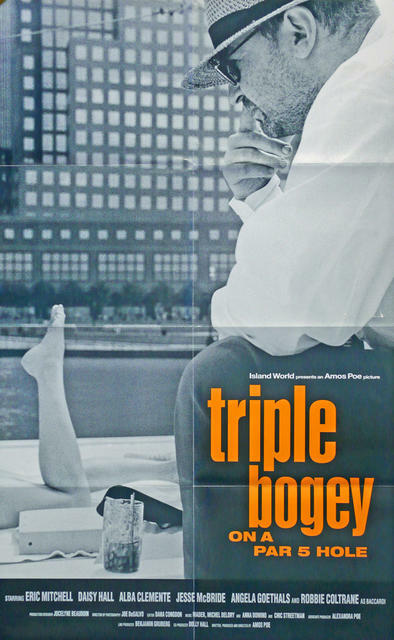 Triple Bogey on a Par Five Hole is a 1991 independent criminal comedy film directed by Amos Poe, about a couple who rob golfers. It stars Eric Mitchell, Daisy Hall, Alba Clemente Jesse McBride and Philip Seymour Hoffman in his film debut in a minor role. Film Review considered the film to be "starkly original", and remarked that nobody in the film was innocent.